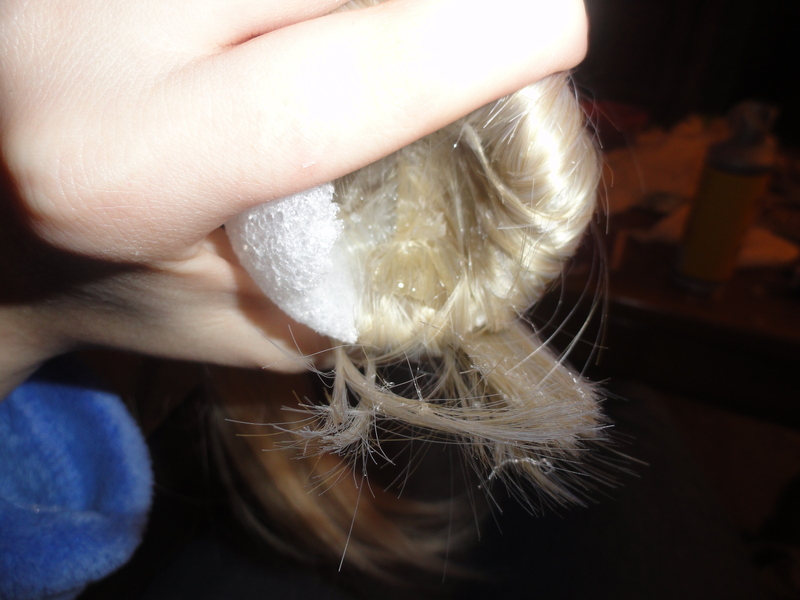 The other day, I was diligently working on the odangos (buns) for a Sailor Moon wig, and it was… painful. The first attempt, the ball was too small, the second attempt I had used entirely too much hot glue, because I had to put some glue in there, wait for it to cool enough to stick my finger in there to hold the hair down, and then if it wasn’t enough hot glue to hold the hair down, I had to add even more. I started getting frustrated, because my fingers were pretty badly burned (it comes with making costumes, I think) and so I tried to work quicker, which just made it worse. I gave up for the night and went online to try and find some kind of solution to help me either be able to work quicker with the hot glue, or to minimize my burns. 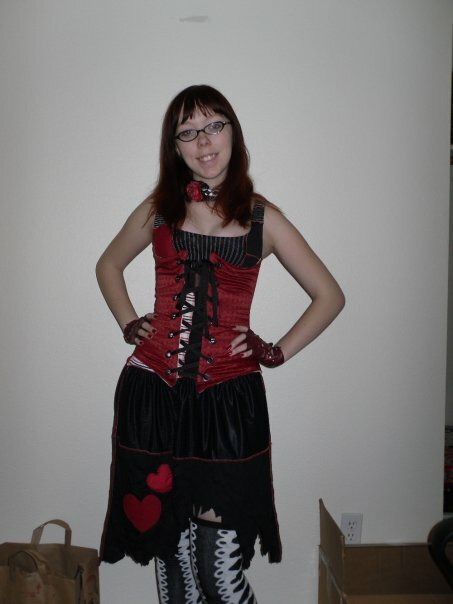 Recently, I purchased my second corset from Damsel in this Dress on Etsy. Now, I have to say, I am nuts for Etsy, browse it every day, and if you don’t already know about this site, then go ahead and head over there. There is literally everything you could want on there, hand made by awesome, crafty people, and chances are if there’s not something you need, you can find someone on there to make it for you. Now, I had bought a corset from the shop owner, Michelle, before. I bought it specifically for an Alice in Wonderland inspired look for the release of Tim Burton’s Alice in Wonderland.